As you sit down to carve the Christmas roast, Image Comics will be serving up their next big Walking Dead storyline 'No Way Out'. Add to that in December the publisher also offers these three hot covers in amongst their tidings of joy and forget it - the festive season's sorted. 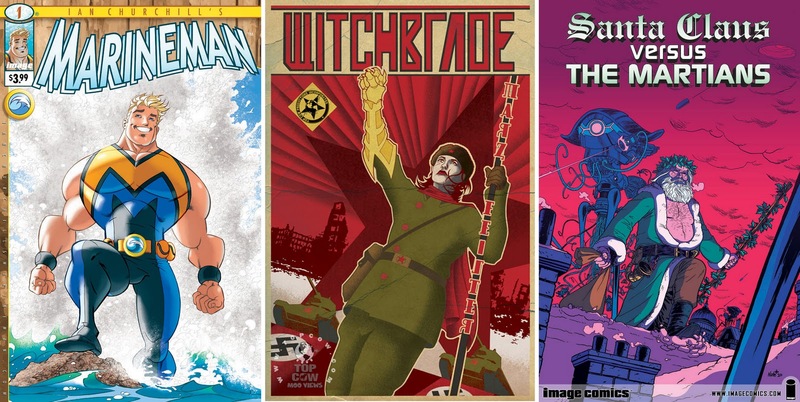 ARTIST AND TITLE (Left to right): Ian Churchill - MarineMan #1, Tom Feister - Witchblade Annual 2010, and Nate Bellegarde - Santa Claus vs. The Martians #1 (of 4). Full December Image solicitations after the jump.